Islamabad: Thousands of protesters marched to the Pakistani parliament on Tuesday as part of a bid to force the prime minister to resign, using a crane and bolt cutters to force their way past barricades of shipping containers in the capital Islamabad. Riot police and paramilitaries had tried to seal off the diplomatic and government zone before the march began, and were told not to intervene as protesters, some of them women throwing rose petals, moved all obstacles in their way. 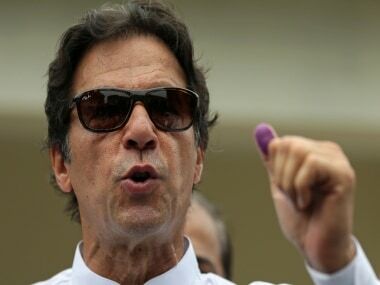 The protests were led by former international cricketer Imran Khan, head of the country's third-largest political party, and cleric Tahir ul-Qadri, who controls a network of Islamic schools and charities. Hours before the protesters set off, the interior minister announced that soldiers would be deployed to stop them. Imran Khan, leader of PTI in Islamabad. Reuters. That was intended to send a message to the coup-prone country that the protests do not have military backing. It also underscored how the opposition has forced the fledgling civilian government to rely on the country's powerful army, despite deep mistrust between the two institutions. The protests have piled extra pressure on the 15-month-old government as it struggles to overcome high unemployment, daily power cuts and a Taliban insurgency. The showdown has also raised broader questions over the stability of Pakistan, a nuclear-armed nation of 180 million people. Khan and Qadri both want Prime Minister Nawaz Sharif to resign. Khan accuses him of rigging last year's polls. Qadri accuses him of corruption. Police estimate the two protest leaders have about 55,000 supporters between them, but not all of them marched on parliament. 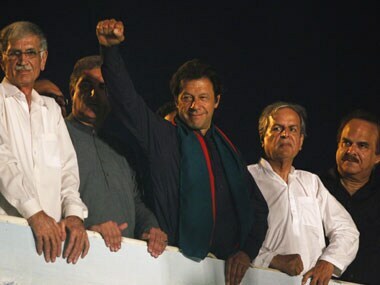 Both Khan and Qadri have been holding protest rallies in the capital since Friday with government permission. But they have been banned from the "Red Zone", which houses many Western embassies, parliament and the office and home of Sharif. Their protests have so far remained separate because the two have different supporters and different plans for what should happen if Sharif steps down. But on Tuesday, Qadri said his supporters would march on parliament, a day after Khan asked his supporters to do the same. "The people's parliament ... have decided to do their sit-in in front of parliament," Qadri said on Tuesday evening, referring to his followers, to approving roars from the crowd. Most of Khan's supporters are young men. Qadri's are seen as more disciplined and determined; there are many families among them. All the men have sticks; brigades of youths also have goggles and masks to deal with tear gas. Speaking the crowd, Khan said any violence would be the fault of the prime minister, as his female supporters scattered baskets of rose petals over bemused police in body armour. "If police try to stop us and there is violence, Nawaz I will not spare you, I will come after you and put you in jail," Khan said. His supporters roared their approval. Among them was 20-year-old Shams Khan, who came from the northwestern region of Bannu with his friends. "My blood is boiling today and I want to be martyred," he said. "If we don't go into the Red Zone today, I will quit this party tomorrow." Interior Minister Chaudhry Nisar announced earlier that the military would co-ordinate the defence of the Red Zone. 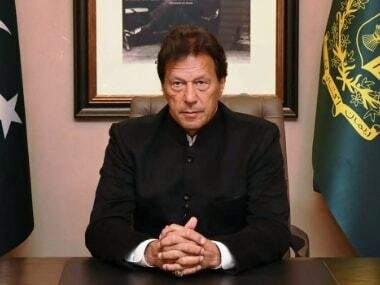 "The government has decided to hand over the security of the Red Zone of Islamabad to the army," he said in a news conference. After it became clear protesters would reach parliament, military spokesman General Asim Bajwa tweeted a reminder to protesters to respect government institutions. "Bldgs in red Zone r symbol of State&being protected by Army,therefore sanctity of these national symbols must be respected," he tweeted. "Situation requires patience, wisdom & sagacity from all stakeholders to resolve prevailing impasse through meaningful dialogue." 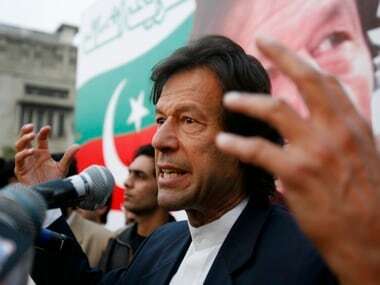 On Monday, Khan also announced his party would resign from their 34 seats in the National Assembly and in all provinces apart from Khyber Pakhtunkhwa, which his party controls. Khyber Pakhtunkhwa, which borders Afghanistan, is the heartland of the Taliban insurgency. Marvi Memon, a legislator from the ruling party, said no formal resignations had been received so far. Some analysts say Khan and Qadri mounted their challenge because Sharif's relationship with the military had deteriorated, appearing to leave the civilian government isolated. Sharif angered the military by delaying an anti-Taliban operation, insisting on months of fruitless peace talks and putting the former chief of staff, Pervez Musharraf, on trial for treason. Musharraf ousted Sharif during a coup in 1999. Many officers are also suspicious of Sharif's strategy to improve relations with archenemy India. However, over the past weeks, Musharraf's trial has ground to a halt and talks with India have been cancelled.